No matter the price or brand you are considering, this exercise bike buying guide can help you make the best decision as well as alert you to possible components, styles, features, and models you may not yet be aware of. While there are several types of bikes, the two main stationary bike styles are the upright and the recumbent. The upright is similar to road bikes in design with the rider seated upright in a standard bike saddle and the pedals located directly below. The recumbent design has a low bucket seat with a full backrest to provide back support, and the pedals are located out in front on each side of the console post. There are also semi-recumbent bikes that have designs somewhat between the two main styles. There are also Spinner bikes, or indoor cycles, that are used in group classes led by an instructor. These types of bikes are available for private home use and can be used for strenuous interval training. Frame – You want a sturdy steel frame that doesn’t wobble and a console that doesn’t feel cheap or flimsy. Pay attention to the weight of the bike as well as the recommended user weight limit. Some bikes have low max weight allowances, so if any users are on the heavier side, you'll need a sturdier bike. Easy Console Controls – The display does not have to be overly complicated. All you need is just the workout feedback basics including time, distance, and speed. In addition, many displays show pulse, calories burned, RPMs, heart rate, and more. If the bike has digital resistance, you will be able to adjust it at the touch of a button. More expensive exercise bikes offer interactive programs, iPod plug-in port, speakers, and a cooling fan. 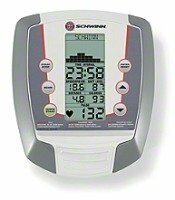 Heart Rate Monitor – Though not often accurate in budget machines, an HR monitor will let you know what your heart rate is while you pedal. Better bikes will offer Heart Rate Control Programs that increase or decrease resistance automatically to keep you in a Target Heart Rate Zone. The HR sensors are located on the handlebars, or the bike console may be able to work with a wireless HR chest strap, typically not included. Resistance – Most exercise bikes offer some form of resistance to make pedaling feel harder or easier. Resistance mechanisms include magnets, fans, or friction. Most bikes in our exercise bike buying guide use magnetic resistance where resistance is adjusted by bringing the magnets closer to a flywheel or moving them farther away. 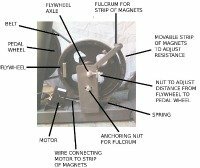 The quietness of the machine will depend on the size and quality of the flywheel; better bikes will have electromagnetic flywheels for optimum performance. 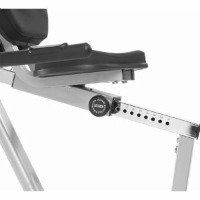 The Seat – Seat comfort is one of the top considerations, especially for upright exercise bikes. Fortunately, saddle designs are great improved but you can easily replace one with another more to your liking. 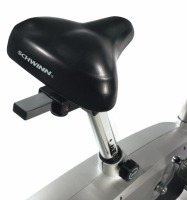 Most bikes use standard seat posts and hardware so you can replace a factory-installed saddle with an upgraded fully padded and anatomically designed saddle. Upright and recumbent exercise bikes are very affordable ranging from about $150 to $1000. Don’t try to tempt fate by going too low in price thinking you are getting a deal; at some point, you could end up with expensive repairs on a cheap machine, or end up throwing the bike out altogether. On the other hand, you don’t have to buy a high-end bike just because of the brand name. A StarTrac is great at the club but you may not need that much bike at home. We discuss quality and value in all exercise bike reviews on our site so that you can make a better buying decision. Finding a good reliable bike at an affordable price will take some shopping around. 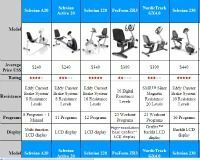 Use this exercise bike buying guide as you consider your own fitness goals and how you plan to use your bike. We hope we can help keep you from paying too much for an average bike, or buying more bike than you need if you’re only riding it 3 to 6 hours a week. Just remember that the best bike to buy is the one you will use on a regular basis. Exercise Bike Assembly – DIY or Hire a Tech?